With so many spray foam equipment manufacturers distributors around, why should prospective customers choose Intech? In fact, for many years, our management team members have listened to people complain about how expensive Spray Polyurethane Foam (SPF) insulation equipment and parts are, and how certain companies only care about money – and not about the end users they are supposed to be helping. This is where our company comes into the picture. At Intech, our focus has always been on integrity and our end user. We are here to help provide our SPF customers with the equipment and supplies they need, and at prices that truly make sense. While a few smaller and less established SPF suppliers have valued their products and service than Intech it’s important to understand the phenomenon surrounding total cost of ownership. 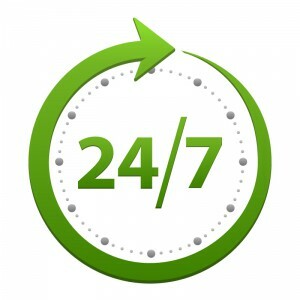 More specifically, it means the 24/7, nationwide customer service you receive from our professionals on the backend. Let’s say you’re a brand-new spray insulation contractor and you have your first, official big job. But what do you do when things go bad? Perhaps you purchased your equipment cheap from a big online distributor, but now you can’t get them on the phone to help you with trouble-shooting or repairs. As a result, you are holding up the project’s builders and other contractors because you can’t get the job done without repair work. In the end the entire project ends up costing you more than initially projected. However, when making purchases for spray foam supplies through Intech, businesses are typically back to work the very next day, even when issues arise, instead of wondering what is going to happen next – and more importantly, when. Check Out Our Latest eBook! This eBook, which you can download for free here, highlights the importance of looking past the actual price tag on SPF equipment, but also considering the value of unparalleled customer service. Additionally, it addresses why today’s SPF professionals should make an effort to understand the full impact and far reach that a nationwide provider can have on their business throughout the purchase process and well beyond. For more information, visit www.intechequipment.com.